Update! 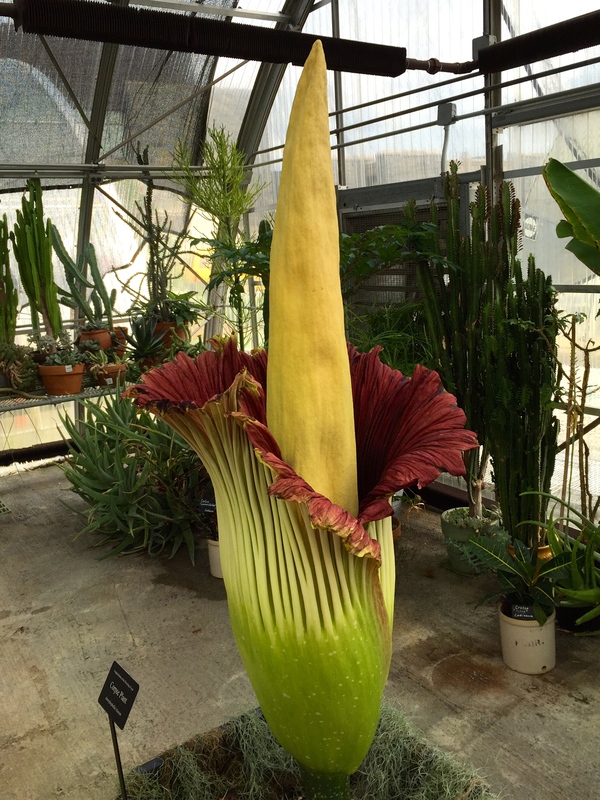 The Corpse Plant is blooming! Head on over to the the VT Greenhouses and get a whiff for yourself! Go soon, because Phil will not wait! 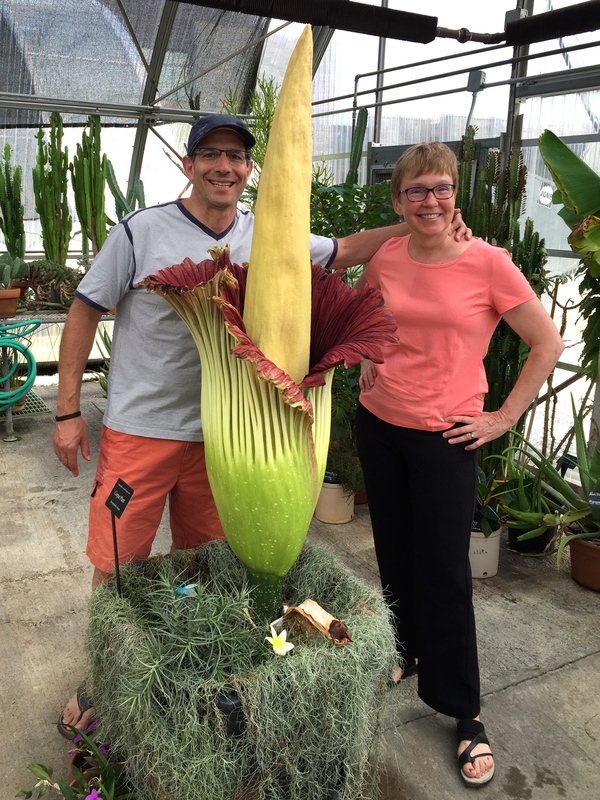 Experts estimate the flower is set to bloom and unleash its stink bomb of a scent on Monday, Tuesday, or Wednesday of next week at the complex, located adjacent to the Hahn Horticulture Garden where visitors will be able to see the plant, affectionately called “Phil,” up close. The garden and greenhouse are run by the Department of Horticulture in the College of Agriculture and Life Sciences. Virginia Wildflowers meets Stinky Phil! This is just incredible! The growth of it at only certain times! Thank you for sharing it!